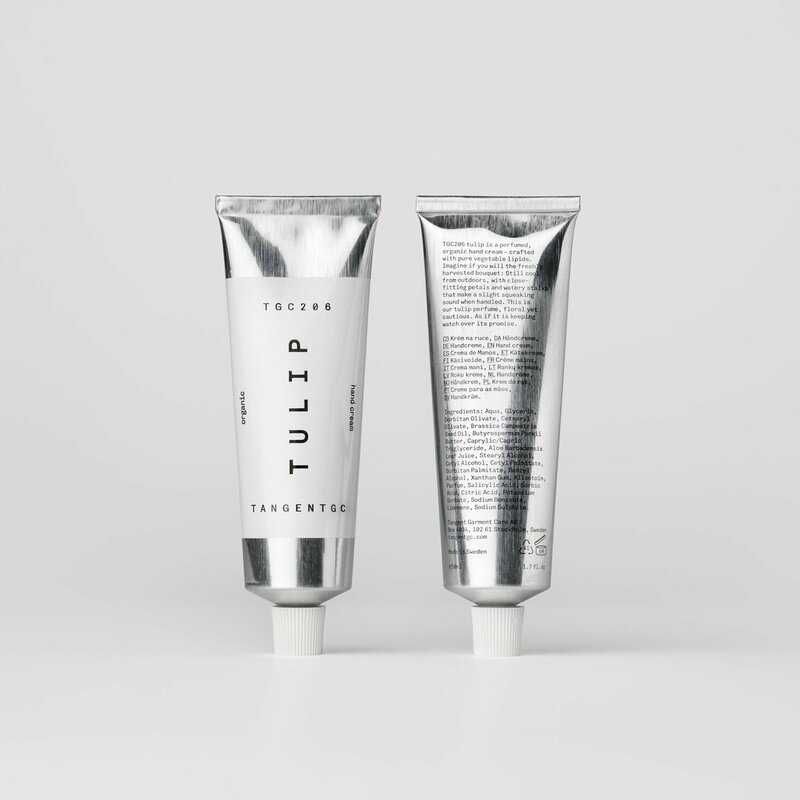 TGC206 tulip is a perfumed organic hand cream — crafted with pure vegetable lipids. The fragrance smells like a freshly harvested bouquet of tulips: Still cool from outdoors, with close-fitting petals and watery stalks. The formula is created around a selection of vegetable ingredients ranging from shea butter, aloe vera leaf juice to rapeseed, and olive and coconut oils. Free from water, petroleum products, parabens and colour. Supplied in a convenient, 50 ml, glossy aluminium tube that is fully recyclable.